When your friend isn't in the field looking for Bigfoot or reading up about the latest Chupacabra sighting, they're gonna need some everyday items that showcase their love of the unknown. Here are some great gift ideas for the believers in your life. When drinking your morning cup of coffee, it's important to encourage everyone around you to believe! Elegantly simple, this mug is a great way to show your support for Bigfoot. Start your kids early with this adorably well-made costume. It's great for Christmas: your kid can wear it while they watch Rudolph the Red-Nosed Reindeer. This is a great card to mail a faraway friend, or even attach to a gift. This cast iron bottle opener is delightfully nautical and perfect for mermaid lovers. Fabric for your craftier friends, so they can make their own creations. It also comes as wrapping paper, if you want to stay in-theme. Unicorns might not exist, but that doesn't mean you can't pretend your pet is one. Let's see Bigfoot escape you now that you have all the necessary tools at your disposal. This cool wall vinyl will make it look like the kraken has risen up to drag your sofa to sea. Helpful encouragements that can be pinned anywhere. 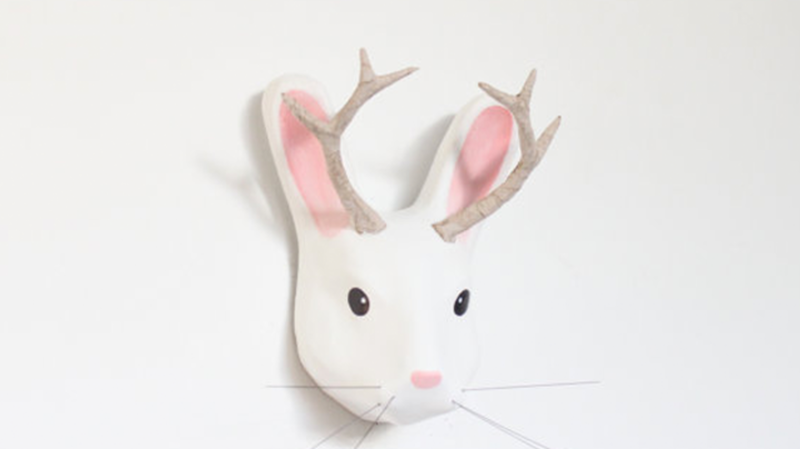 This adorable bust is made out of paper mache so no real jackalopes were harmed in the process. From Funko designs, this little doll is so adorable, you'll forget how scary the original Gill-man was. Encase your books in this exciting kraken attack scene without having to get them wet. Perfect for friends who live in New Jersey or Germany. The Loch Ness monster wearing socks on socks! The real Sasquatch might be hard to find, but your keys won't be with this handy leather keychain.